Accessibility and Signage for Plug-In Electric Vehicle Charging Infrastructure. This report was developed by the California Plug-In Electric Vehicle Collaborative, a multi-stakeholder partnership working to ensure a strong and enduring transition to a plug-in electric vehicle marketplace. Members played a guiding and consulting role in developing the report, although individual organizations may not formally endorse every recommendation. U.S. Department of Energy, Energy Efficiency & Renewable Energy. In this fact sheet, you’ll learn the basics about the type of electric-drive vehicles, including how they work, the benefits of using them, and the various charging options. 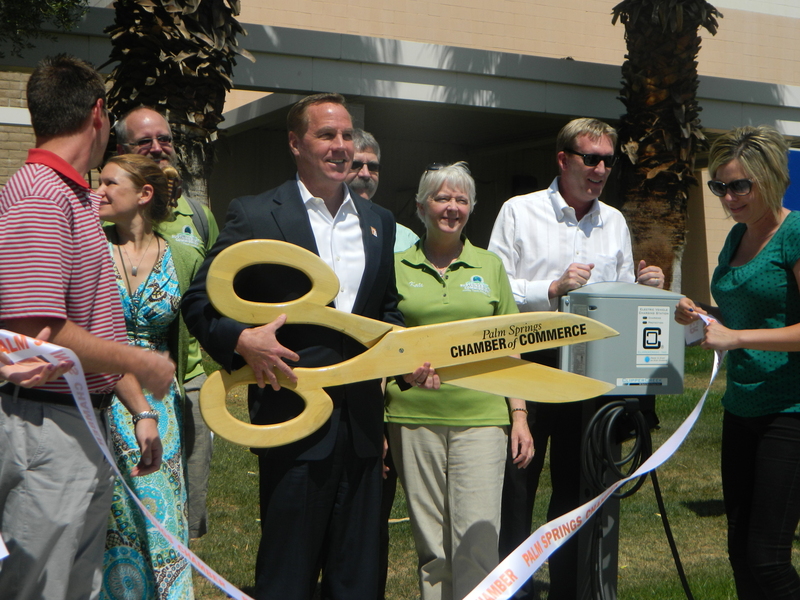 Grand opening of one of the 10 new Electric Vehicle (EV) Charging Station in Palm Springs. Palm Springs Public Parking structure downtown Garage. 400 E Tahquitz Canyon Way. & Spa 74-855 Country Club Dr.
We recommend that you call prior to visiting the station to ensure it is open and that the applicable fuel is available.